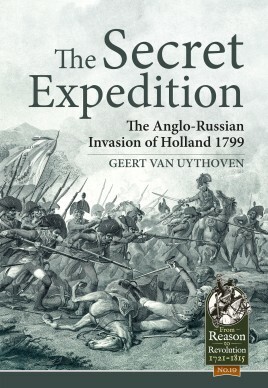 A complete and thoroughly researched book about ‘The Secret Expedition'; the Anglo-Russian invasion of Holland 1799 and the Franco-Batavian defence. Including numerous first-hand accounts. In 1799, as part of the Second Coalition against France, an Anglo-Russian army landed in Holland to overthrow the Batavian Republic and to reinstate the Stadtholder William V of Orange. Initially called ‘The Secret Expedition’, although not really a secret for both sides, the description of the invasion reads like a novel. Five major battles were fought between armies of four different nations, with unexpected deeds of heroism and unexpected defeats. There were secret negotiations and rumors of bribery. More than enough ingredients for biased opinions, historical errors, and incorrect information copied from historians up to this day. The aim of this book is to give a balanced, detailed, and complete account of the events taking place during the invasion: the preparations on both sides, detailed descriptions of the battles as well as the events taking place at sea and in the eastern provinces of the Batavian Republic. Also giving new opinions on questions like: What were the causes of ‘The Secret Expedition’? Did Brune indeed delay reinforcing the Batavians? What caused the frequent panics in the participating armies? Were the French veteran troops and the Batavians soldiers unreliable? How was the treaty closed? The book is based on source material from all participating countries, including numerous firsthand accounts of eyewitnesses and contemporaries, providing the reader with a mirror to the past. Geert van Uythoven has published about different military subjects in the period of the French Revolution and the Napoleonic Wars. 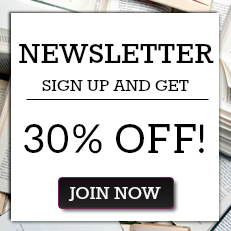 He has also written numerous articles in a whole range of magazines. Always trying to give a balanced account of what really happened, using contemporary sources in Dutch, English, German and French, often providing fresh insight. His research is broadly appreciated by others and is frequently used or quoted in other works about this period.